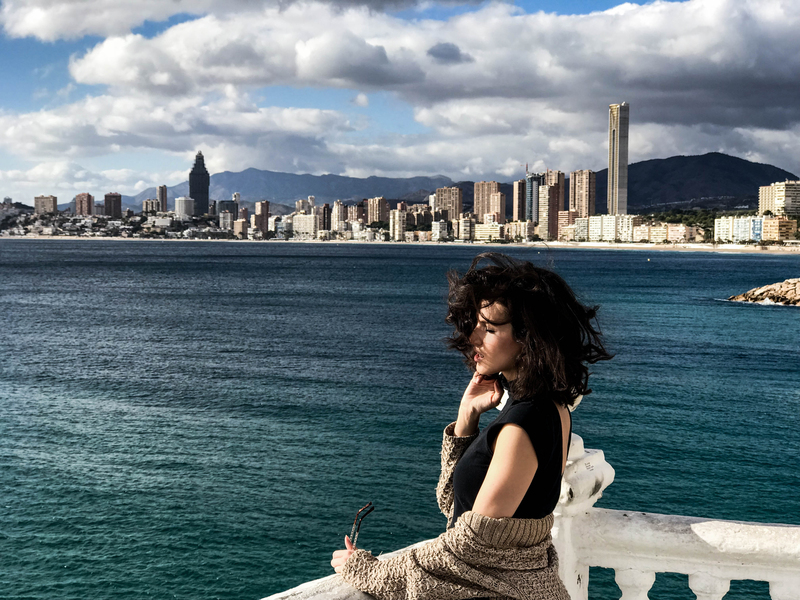 I had never expected that my dream of a holiday in an apartment with a panoramic skyscrapers’ skyline view and the sea, would become true in Spain. However, this country is not only about the traditional houses and historical buildings as I mistakenly thought. 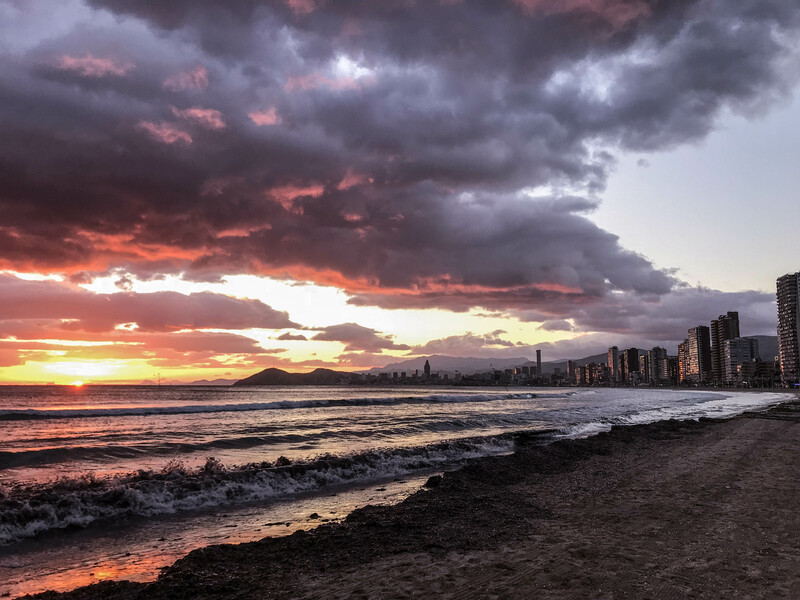 Benidorm, town situated in the southeastern coast, is known as the Little Manhattan or the Mediterranean Las Vegas. I might have never been into Las Vegas kind of fun, but I’m all for any captivating skyline and the most amazing sunsets. When we actually were in New York, we lived in the lovely residential area with low buildings in the Upper East Side. The view from the above we could fully enjoy only here, in Benidorm, while staying in My Pretty Payma Apartments. 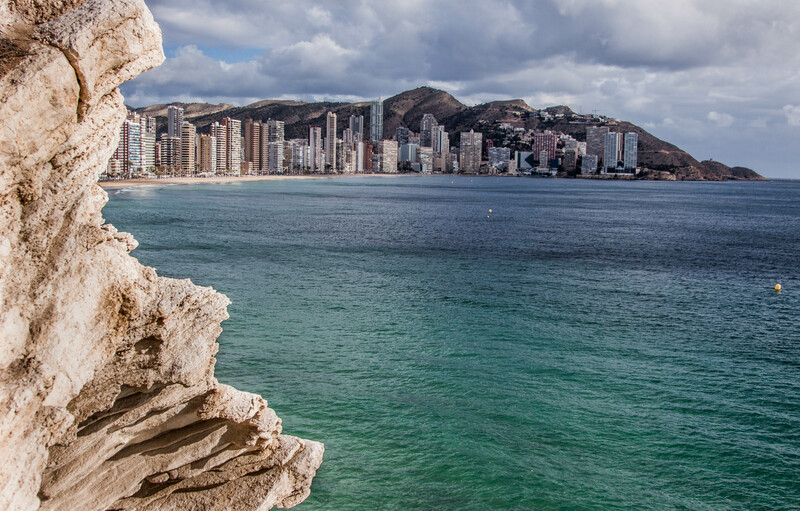 Benidorm is perhaps the city with the largest number of skyscrapers per inhabitant. 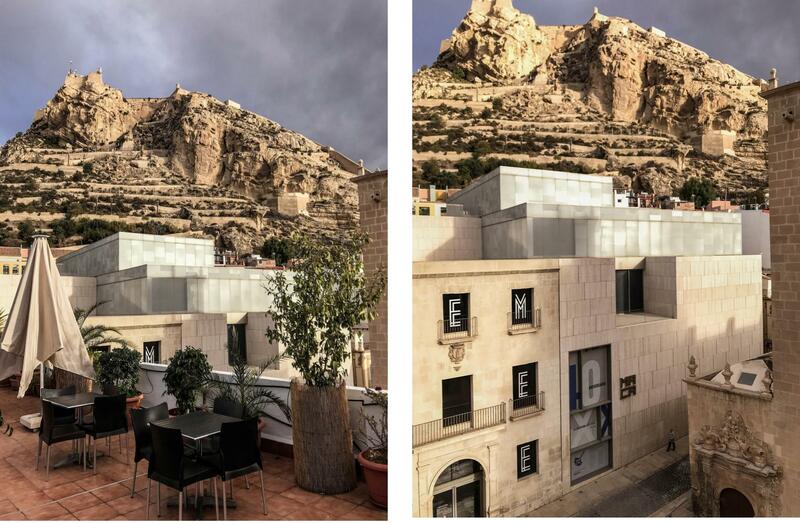 Our light, modern apartment offered the three cardinal direction view, including the sea and the mountains. You can imagine, that we didn’t rush out of such an amazing space, for other sightseeing. We enjoyed the lazy mornings, long breakfasts and dinners with the view, instead. In between, we spent hours walking by the sea every day, absorbed the missing vitamin D and went to spa. 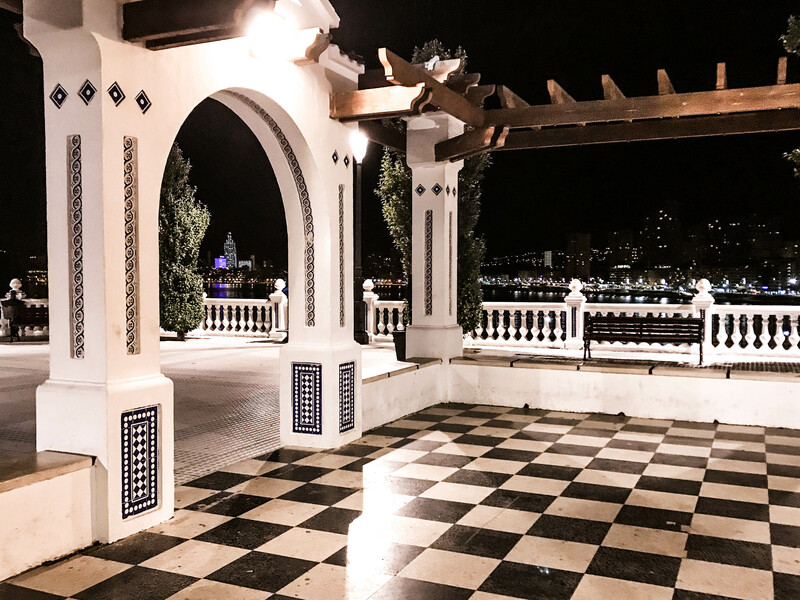 As the apartment was situated only few meters from the beautiful Levante Beach with its many cafeterias and restaurants, we could hardly wish for more. 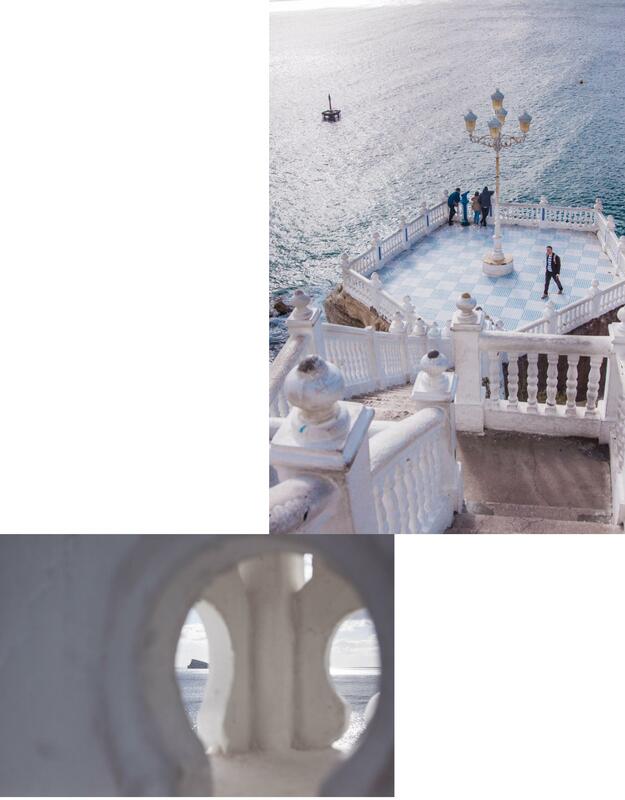 The best spot to admire the breathtaking scenery is certainly the old town Mediterranean Balcony with its long stairs leading directly to the sea. If it had not been built long years ago, I would say it would have to be designed for Instagrammers. Also, observing some of the highest buildings in the city from near was fascinating. 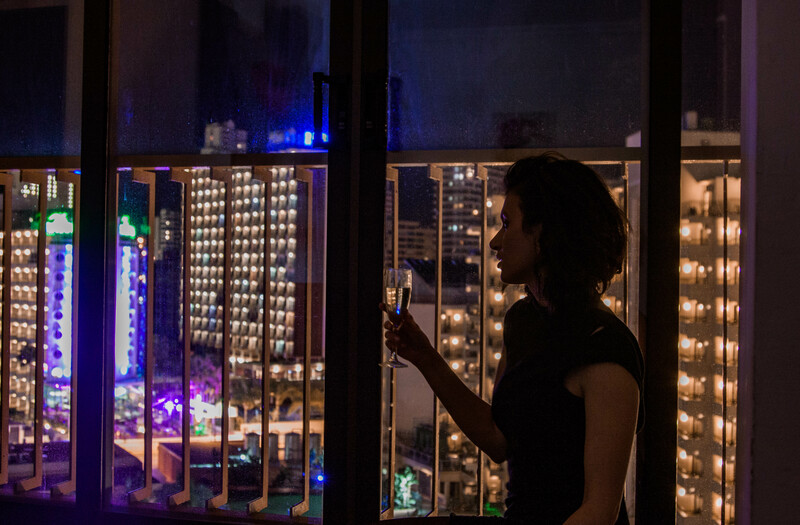 The most interesting is the story of the In Tempo, the tallest building in Spain outside Madrid and the highest residential building in Europe. 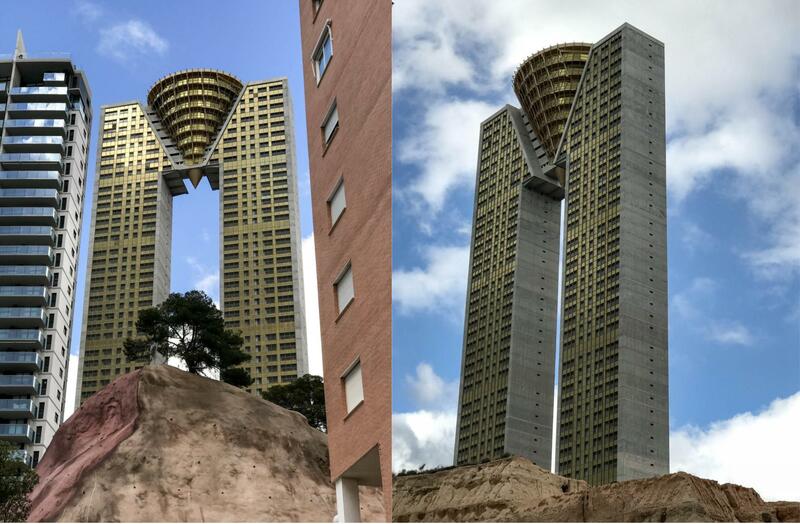 The Guardian called it “towering testament to madness to Spain’s construction boom”. The 47-floor, 192-metre-high skyscraper was originally scheduled for completion in 2009. However, the work was significantly affected by the economic crisis in 2008. Therefore, the construction was completed years after and its future is still unclear. Despite a little sad story behind, the building itself is impressive and worth of seeing, especially if you are modern architecture lover like me. 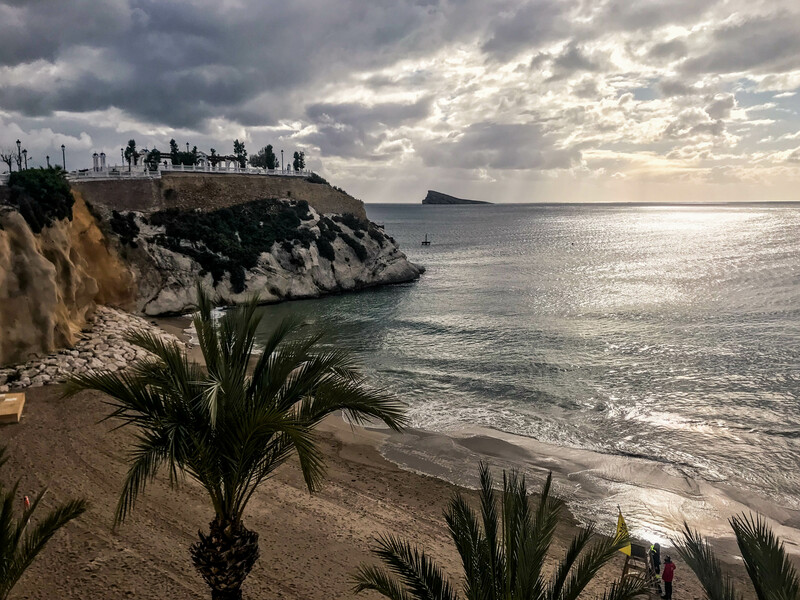 It was a wonderful couple of days we had in Benidorm, before we moved to near Alicante. Just 30 kilometers away and we experienced totally different Spain there. 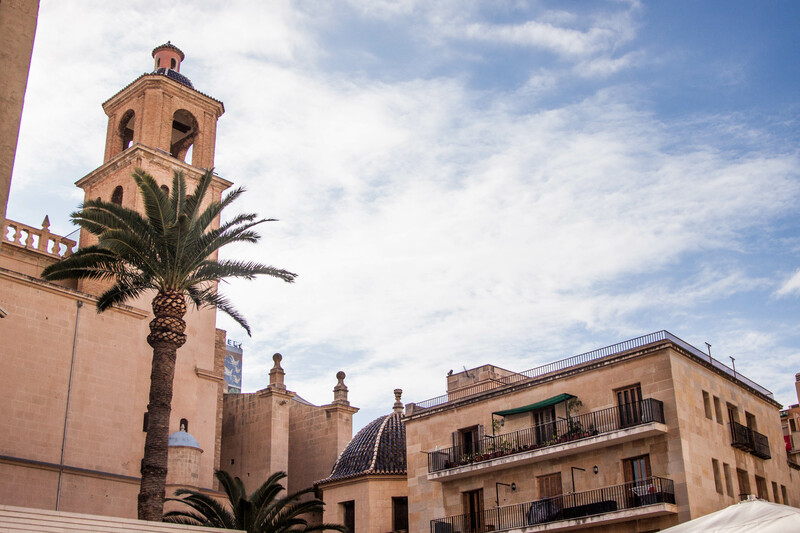 Unlike Benidorm, Alicante is a big, busy, historical city with typical Mediterranean charm. Picturesque streets, beautiful harbor and the hill with the castle cannot be missing in a city like that. 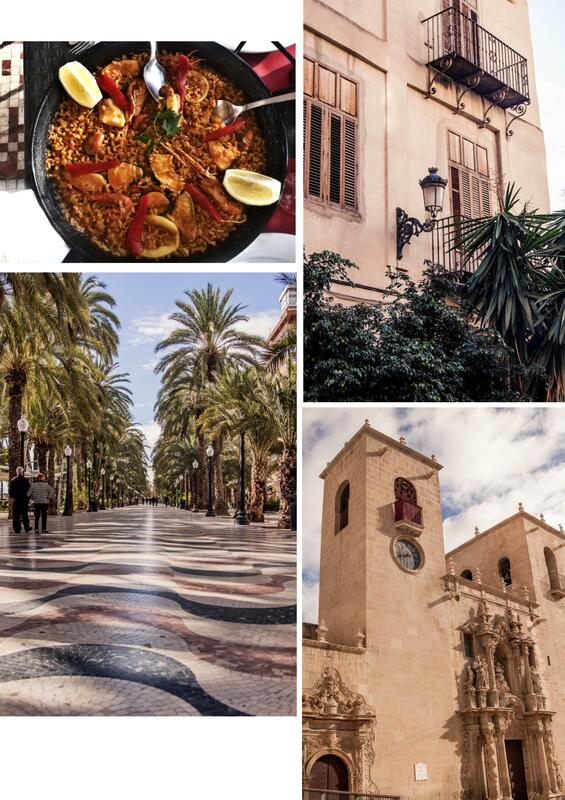 Stylish restaurants have delicious tapas and paella. We also enjoyed concert in a jazz bar and exhibition at the Contemporary Art Museum, explored hipster coffee shops and a movie-like bookstore. As we visited Spain right before Christmas, local boutiques and design shops quality was highly appreciated. Spain, you were as pretty as always. Hope to see you soon, again! We were guests at My Pretty Payma Apartments. All views and opinions are my own. A great post, love the artistic pictures and the review. Your looks are amazingly stylish Mz Daniela !! Thank you so much for stopping by and leaving a comment! Have a great day! This location looks amazing and I love all of your photos. Gorgeous post! Thanks so much Heather! So happy to hear that! Thanks a lot Olga! Have a wonderful day! Oh wow, this is so dreamy! I was already imagining lazy mornings and leisurely days just by seeing your photos! 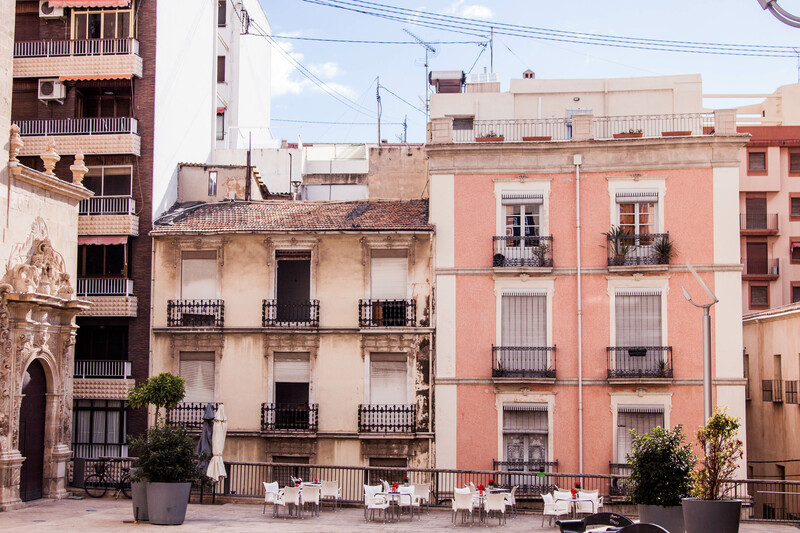 These are beautiful places of Spain that I haven’t seen yet, so good for featuring them in your blog! I always love your travel diary. Thanks so much Mercy! Thank you for all your kind comments! Wow your pictures are out of this world! You’ve made me look at Spain with totally different eyes, Benidorm skyscrapers look amazing!